I was watching some T.V. late last night and there was a program where two characters were describing their first ever kiss. My first kiss happened at a Peter Piper Pizza and the girls name was Valerie Rodriguez. I not only remember every single detail of that very moment but I can close my eyes and picture my eyes slightly opening wide to see Valerie’s face when we kissed. Which brings me to the song - Kiss Me On the Bus… I was once asked by a co-worker what song reminded me of my first kiss. I had never been asked that question before and I had never really thought about it. 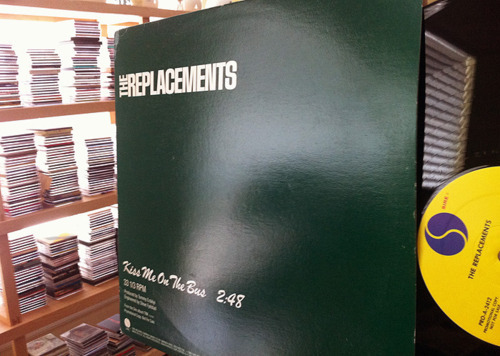 But after 4 or 5 seconds I replied - The Replacements : Kiss Me on the Bus! To which she responded… ”Rush, Rush - by Paula Abdul”. My heart sank and I’ve made it a point to avoid water coolers at work ever since.